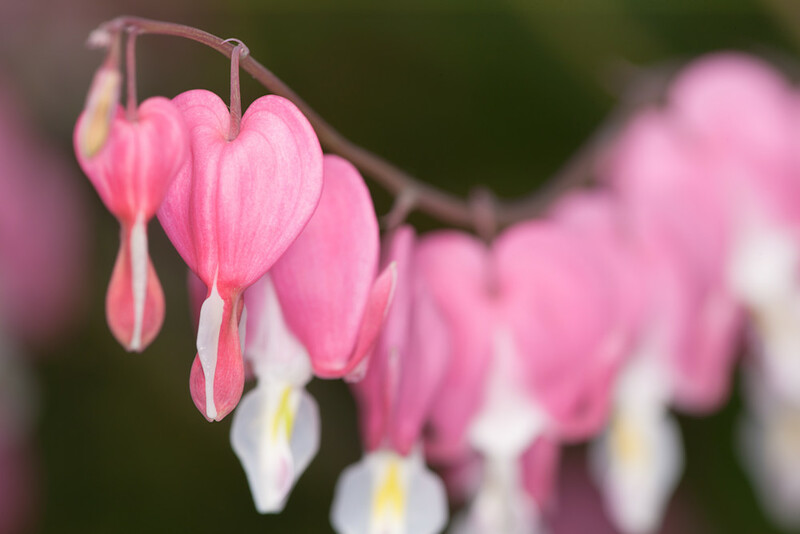 This gracefully arching branch of a Bleeding Hearts plant (Dicentra spectabilis) is chock full of the beautiful flowers. The focus in this picture is on one of the young flowers on the near end of the branch. The delicate, heart-shaped, soft pink flowers line up so beautifully next to each other, in a graceful line dancing off into the background.